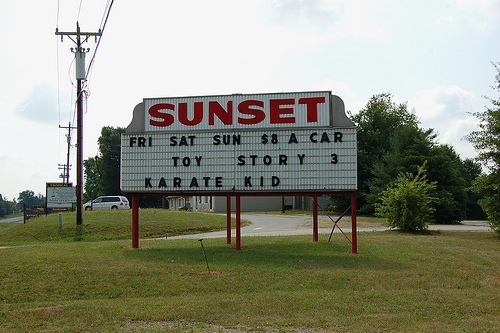 Please enjoy our list of drive-in movie theaters in North Carolina. 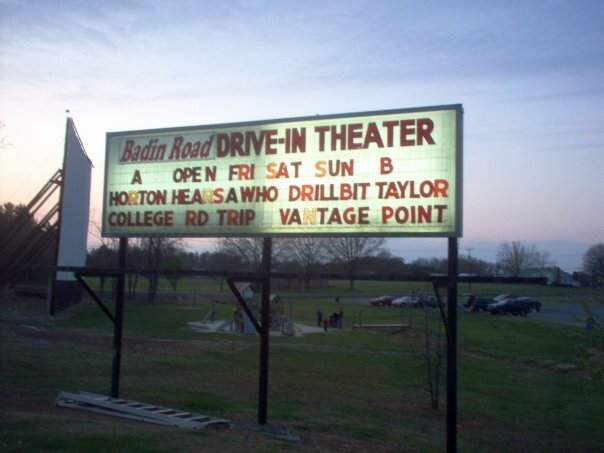 Badin Road Drive-In hosts a first-run double feature on each of its two screens, Friday through Sunday, year round. They offer free Wi-Fi access, so that you can surf the internet before the film, or use imdb to figure out who that oh-so-familiar actress is. They pride themselves on being family friendly, and include a snack bar and a playground for children. 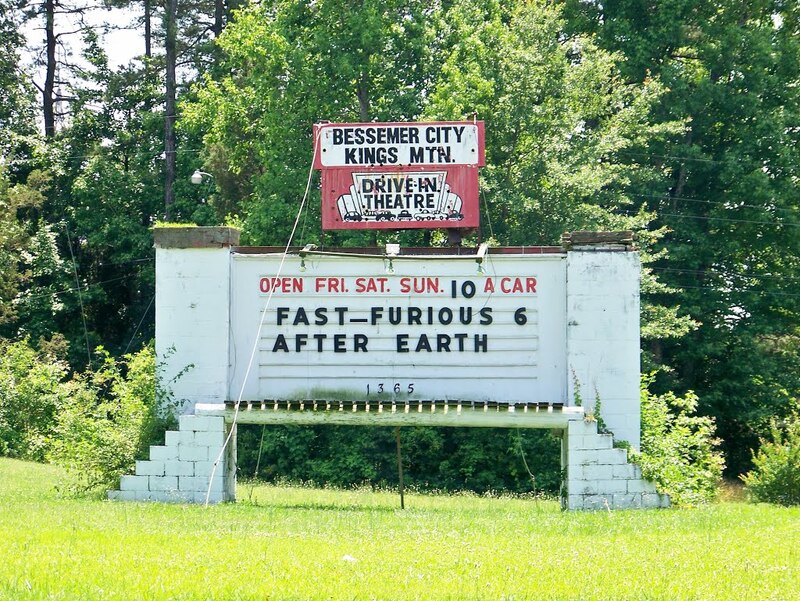 At 65 years old, Bessemer City Kings Mountain Drive-In is one of the oldest drive-ins in the state, and it is still run by the Stinnett family, who have owned it from the beginning. 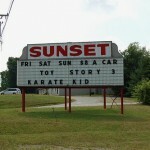 They show a first-run double feature every Friday, Saturday and Sunday evening. They have a full snack bar serving hamburgers and hotdogs where you can have dinner before the show. They are cash only, and do not allow pets. 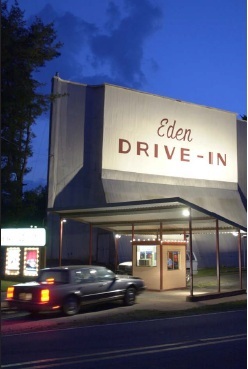 Eden Drive-In offers a first-run double feature every Friday, Saturday and Sunday evening. 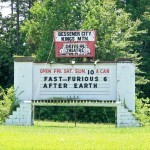 They pride themselves on having a family-friendly atmosphere, with a playground for children before they film starts. They will occasionally host special features like concerts and fireworks displays. 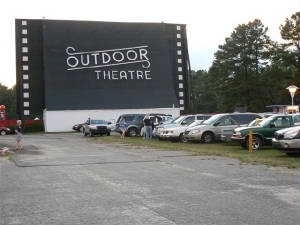 Raleigh Road Outdoor Theatre offers a first-run double feature on Friday, Saturday and Sunday evenings. 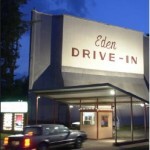 They offer a full concession stand offering a wide range of hot food for meals, as well as conventional drive-in fare. They have coupons available to print from their website here for additional savings. 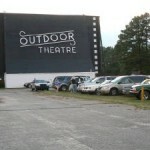 Raleigh Road Outdoor Theatre is pet friendly, even offering treats to dogs at the ticket booth. 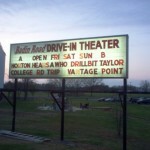 The Sunset Drive-In offers a first-run double feature on Friday, Saturday and Sunday nights. They offer a full concession stand, with hot food for meals. They are family-owned and -friendly, and children are invited to play in the grassy area in front of the screen before the start of the film. Note that they do not allow pets.